At S&G we have combined Metal Fabrication with Wood Work and Professional Craftsmen to provide commercial grade products to many industries. S&G Manufacturing is equipped with a full metal fabrication shop, including a custom refrigeration department, and two millwork shops totalling over 360,000 sq. ft.
From retail, hospitality and food service to unique challenges from other industries, we strive for perfection and welcome any opportunity to demonstrate our expertise. 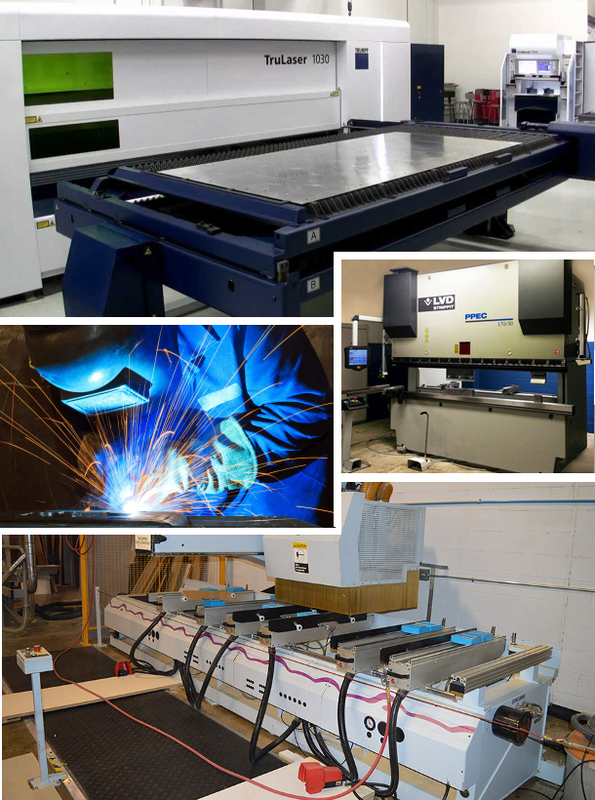 Our facilities are furnished with the equipment, such as a laser cutter, CNC workstation with double router and paint booth for factory finishing to manufacture anything from stainless steel custom cook centers to unique wooden furniture and store fixtures.